To complete the design I added in a few butterflies from the new Butterfly Basics stamp set and I'm really happy with it. All the products I've used to create today's card are available 24/7 in my Online Shop. Click the images below to be taken straight to them. I'll be back on Monday with another creation, so I hope you'll join me then. Whatever you're doing this weekend, have a great and SAFE one. 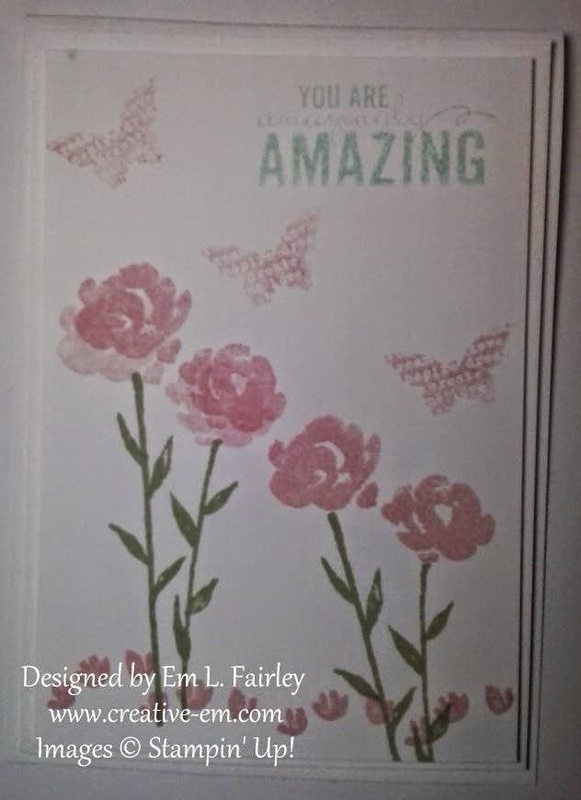 Labels: Butterfly Basics, Occasions Catalog, Painted Petals, Stampin' Up! Gorgeous card, Em! Love the soft colors! Thanks so much for playing Simon Says Stamp Wednesday “Something New” Challenge!